This well-maintained holiday home in a country house style is located at the edge of the charming village of Oberau in a quiet setting surrounded by nature. You can still experience idyllic country life here, while being within easy reach of the swimming pool and the ski bus, just about 200 metres. 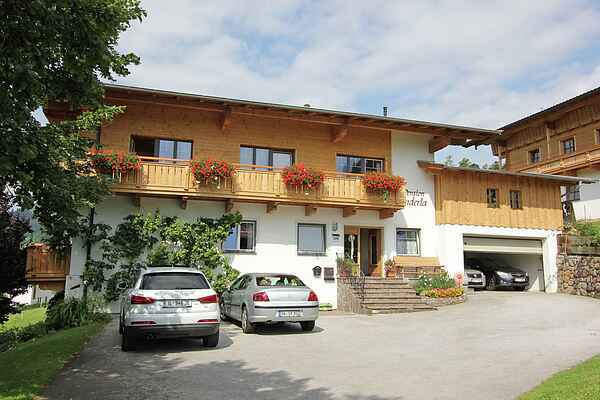 The lovingly furnished accommodation has everything you need, and you can enjoy a beautiful view of the surrounding Wildschönau mountain scenery from the balcony. There is a large garden with many play options, ideal for the little ones. There are many hiking trails in the immediate vicinity and the Niederau ski area is just 5 minutes away. The free Wildschönau Card offers many benefits both in summer and winter. A wonderful destination for a relaxing holiday.